This is one attraction you simply cannot miss. Literally. 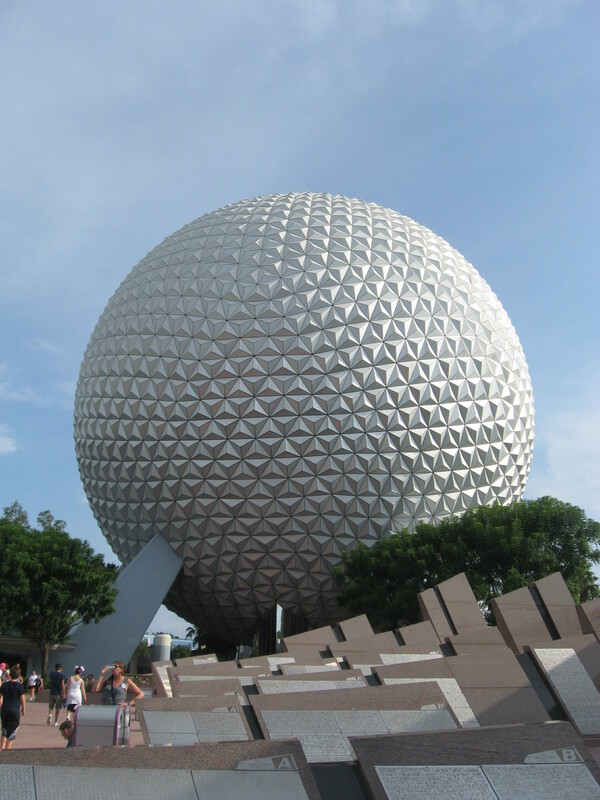 Spaceship Earth is the giant, 180 foot tall geosphere that is so iconic to Epcot. (Did you know that science fiction author Ray Bradbury helped design it?) The attraction inside it is a slow-moving ride through the evolution of communication and technology, from the dawn of civilization to our modern age. Dame Judi Dench narrates as you pass by scenes depicting ancient Egyptians pounding papyrus for paper, Romans spreading information by their system of roads, and monks copying religious and secular texts in the Dark Ages. 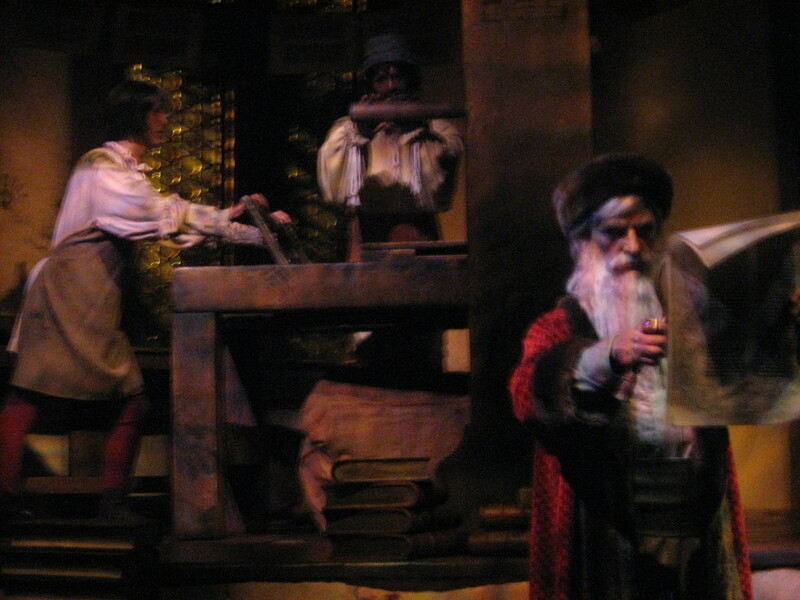 We learn that communication and learning really took off with the invention of the printing press. You’ll see just how quickly humankind raced toward the 20th century with all the new technologies: telephones, film, radio, television, computers. As you “return to Earth,” you get the chance to explore what technologies might await us in the future. Using a touchscreen in your ride vehicle, you can answer a few questions about your preferences in different areas, such as home, leisure, health, or work. And then, with a bit of Disney magic, you can see exactly what your future might look like! 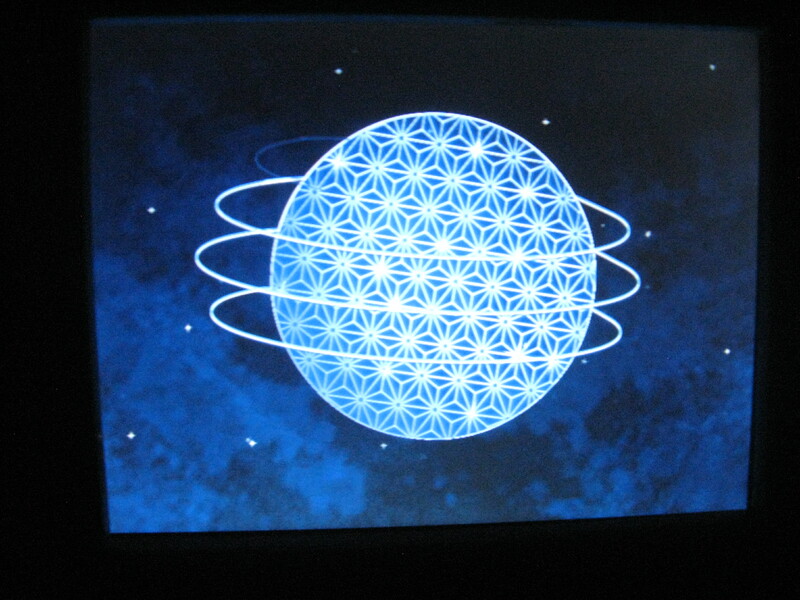 Spaceship Earth is great for all ages. It’s a classic, and it does provide a nice break from the hustle and bustle of the park. It is dark inside, so that could be a consideration for younger children. 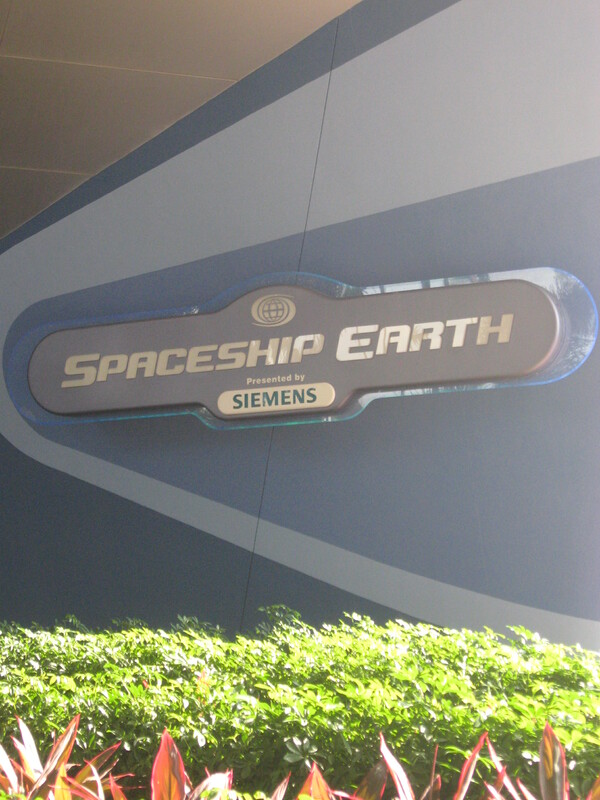 However, this is one attraction that really embodies the spirit of Epcot.